***This coming week is one you aren’t going to want to miss… It’s my BIRTHDAY WEEK! So why not celebrate with all my amazing readers!? Stay tuned for LOTS of fun, you won’t want to miss a day! The 4th of July is one of my favorite times of the year. It is so fun to get together with family and friends and celebrate. Knowing what to wear can be hard sometimes though. It’s usually super hot and we still want to look cute, but not be super hot. 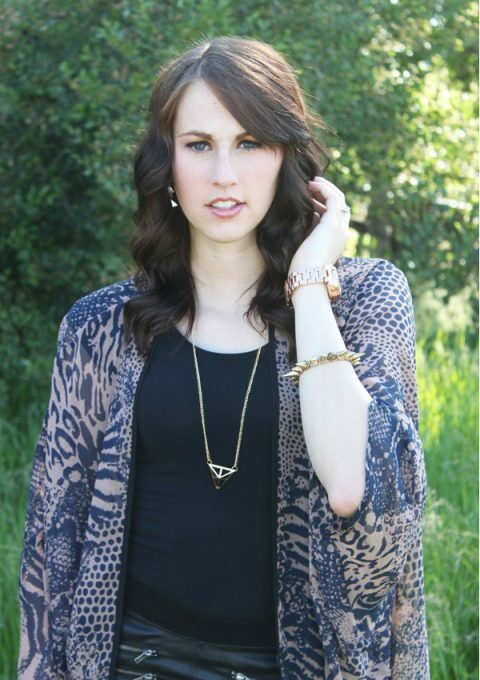 Here are some fun ideas of how to be trendy and cute, without being hot. 1. 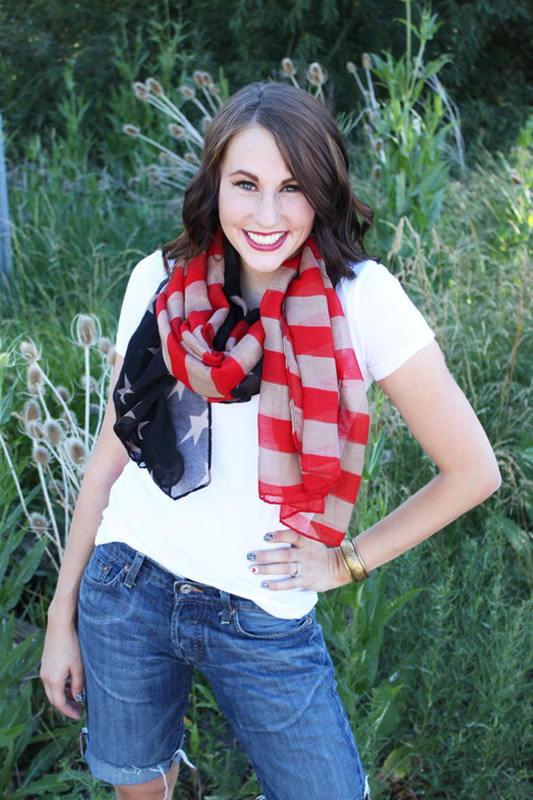 Wear a light weight tee shirt with a cute American flag scarf. These scarves are everywhere this year and I am loving them. They show your American pride but aren’t one of those USA shirts you can find at Old Navy or places like that. You can pair it with boyfriend shorts which are nice and loose for the heat. 2. A knit skirt with a baggy graphic tee. I am a pencil skirt lover in the summer time. They are nice and cool and a change from the regular shorts. 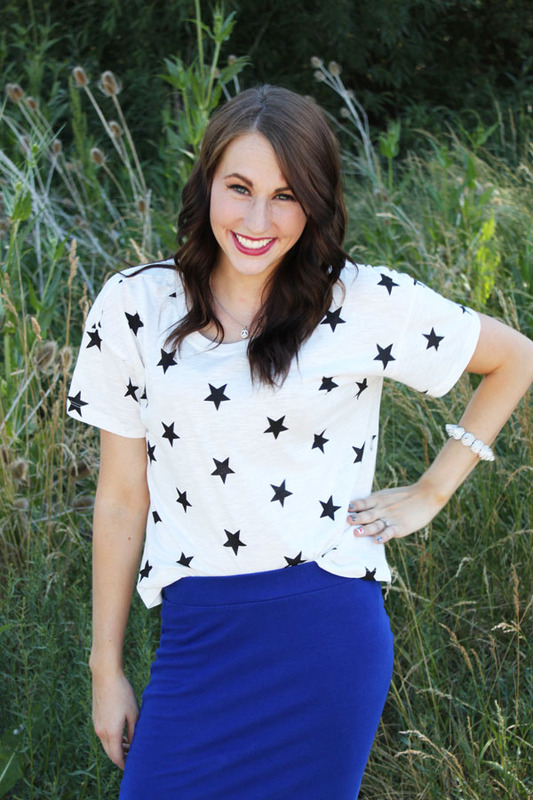 I paired it with this star tee to incorporate a little American pride in a subtle way. 3. A baggy graphic tee with boyfriend shorts. This tee from Hello Apparel is one of my favorites! 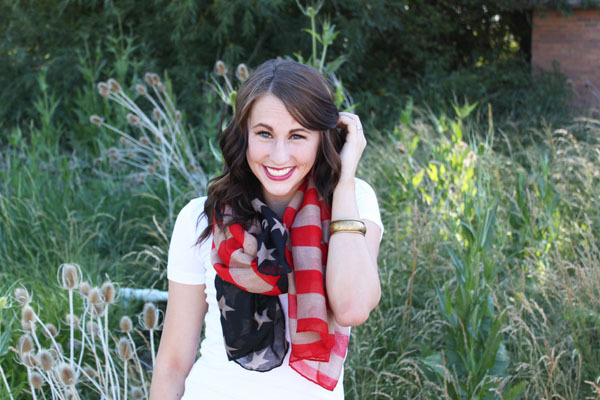 It incorporates the red, white, and blue for the 4th, and is so comfy and soft! I tucked the front in to give it a little shape and paired it with the boyfriend shorts for a little more chill look. No matter what you wear this 4th of July, have fun with friends and family! Celebrate being an American, we truly are the best! 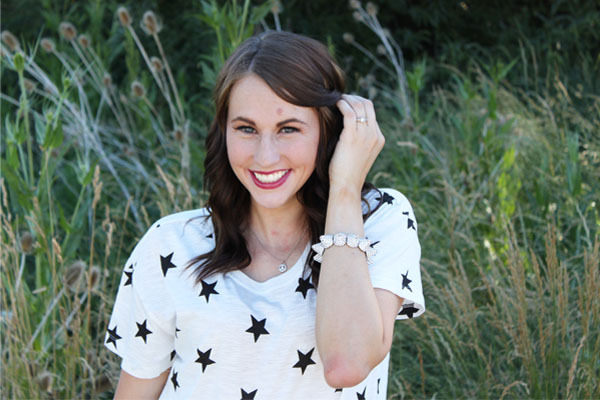 Let’s be friends, I would love for you to follow along with me! Happy birthday week! 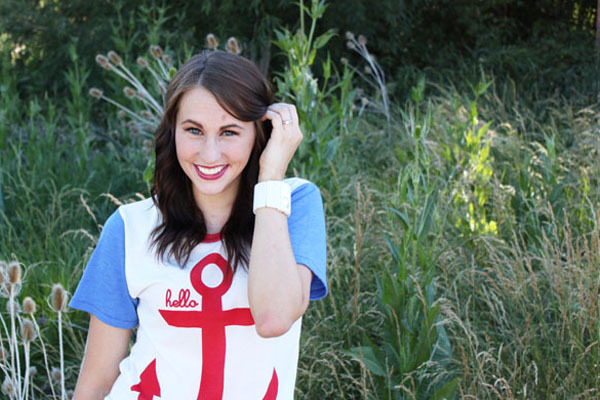 I’m in love with the Hello anchor shirt! I’m really into baggy t-shirts lately. I’ve been looking for some 4th of July inspiration thanks! You look fantastic!! i am loving your scarf! Thank you so much! It’s a fun one huh!? yay! So glad you got some! Hope it helped! Oh my goodness, thank you so much. You are so sweet! It’s such a comfy shirt! I think everyone needs it ha. Mine is the 2nd!? SO close! Isn’t birthday week the greatest!? Such cute looks for the holiday! I styled for the 4th too! 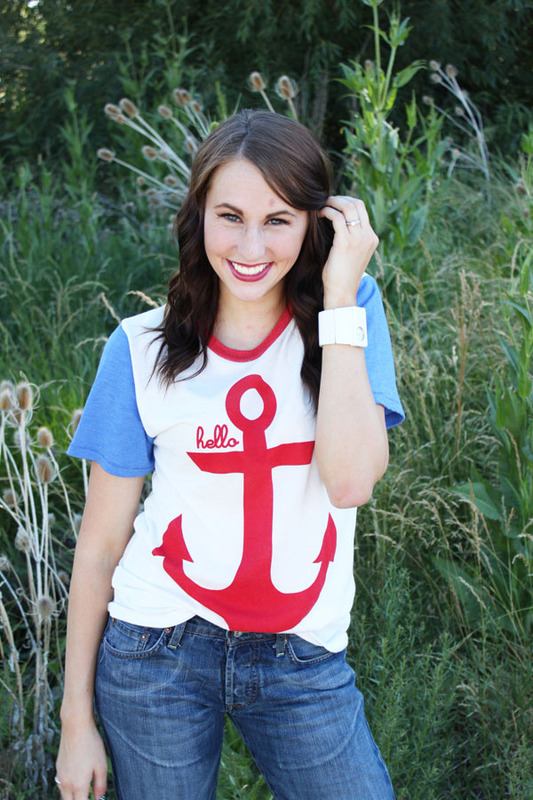 Love the anchor tee and works for the upcoming holiday-comfy/casual look! love love love the RedWhitenBlue scarf and the “hello” tshirt!